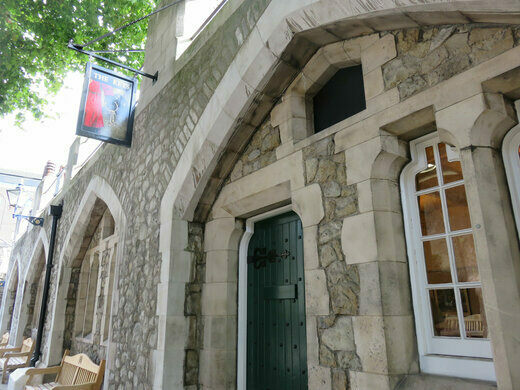 There's an exclusive Beefeaters pub hidden in the Tower of London. 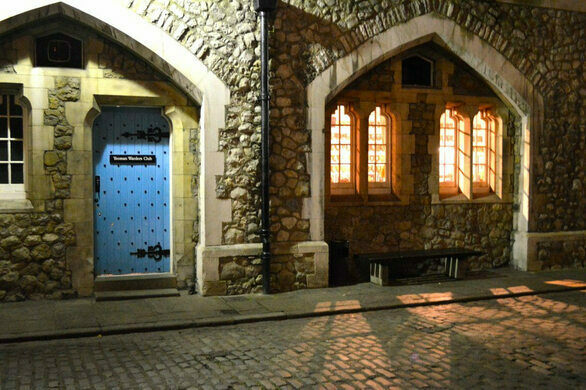 When the tourist masses leave at 6 p.m. each evening, and the 700-year-old “Ceremony of Keys” ritual locks up the complex for the night, the Tower of London becomes a very different place. 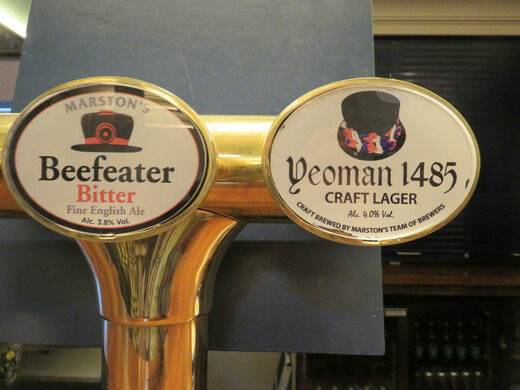 After hours, it belongs to the few dozen families that live within the castle, and the iconically outfitted Yeoman guards head to the private pub that’s tucked in the fortress wall. 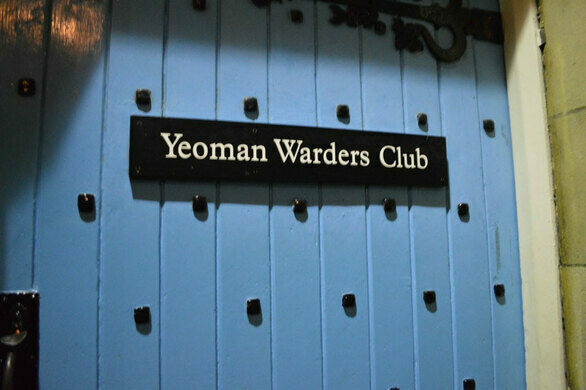 The super-exclusive Yeoman Warders Club is only open to the 37 members (and their guests) of the Yeomen Warder of Her Majesty’s Royal Palace and Fortress the Tower of London, and Member of the Sovereign’s Body Guard of the Yeoman Guard Extraordinary. 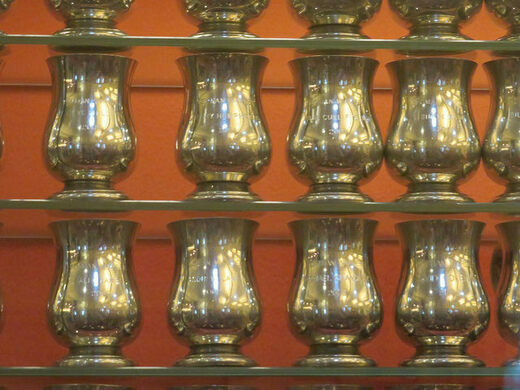 Or as they are (mercifully) more commonly known, Beefeaters. 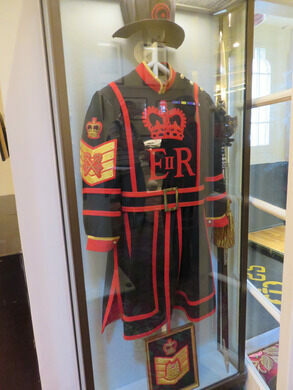 The Beefeaters have guarded the Tower of London since 1485, ever since King Henry VII, the first Tudor king. 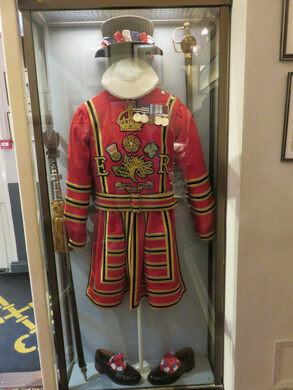 Their ridiculously elaborate red and gold Tudor state dress outfits have changed little since then, but their duties have changed substantially. 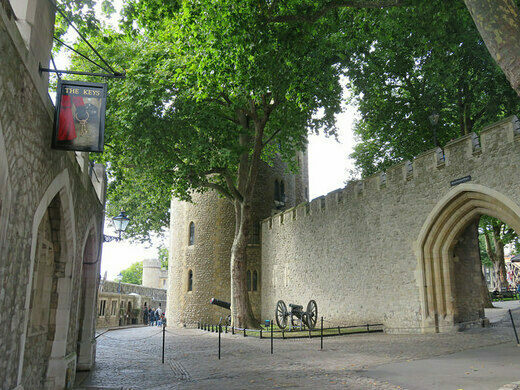 Originally they were charged with guarding the Tower prisoners and protecting the Crown Jewels; today, they serve more as tourist guides and the subject of countless photos. 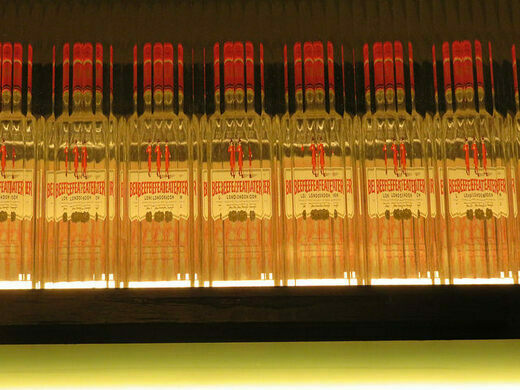 There used to be many bars within the Tower walls, but only this one remains. 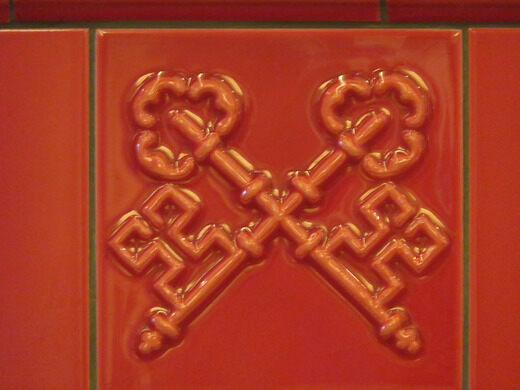 It’s now called The Keys, though the original name is still displayed on the wooden door. 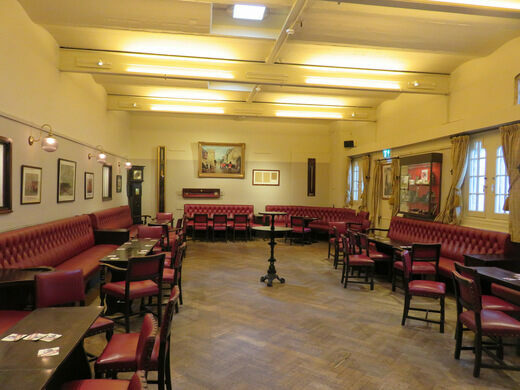 The pub is 150 years old and about the size of a tennis court. 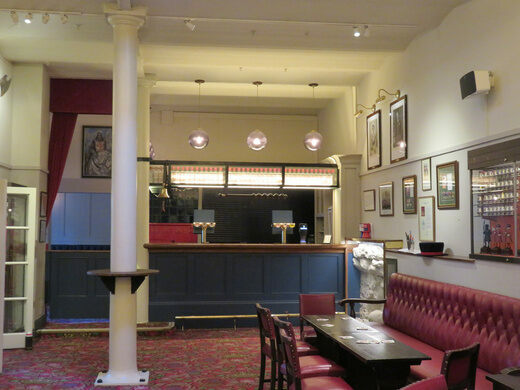 Inside, it’s decorated with red leather benches and grim paraphernalia from the Tower’s past. 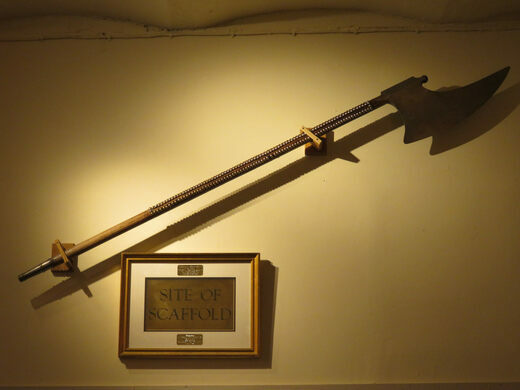 The Yeoman Gaoler’s axe hangs on the wall above a plaque that used to mark the execution site, and the signature of a Nazi officer that was briefly imprisoned at the Tower is encased and on display. 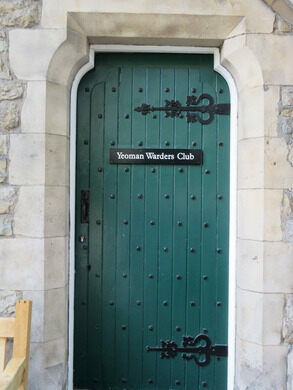 The pub is private and off limits unless you are invited by a member of the Yeoman Warders. It has been open to the public only once a year, during the London Open House weekend. A Cold War secret surveillance tower used to spy on radio communications.